News: Adams posted 10 points (5-6 FG, 0-1 3Pt), seven rebounds, two assists and one block across 35 minutes during the Thunder's 120-108 win over the Trail Blazers in Game 3 of their Western Conference first-round playoff series Friday. Impact: Adams had averaged 16.5 points over the first two games of the series, so Friday's tally represented a notable downturn. The big man remained as efficient as he'd been in Game 2, but he took two fewer shot attempts and also failed to visit the free-throw line for the first time in the series. He'll look to boost his production back up in Sunday's Game 4. News: Adams managed 16 points (7-8 FG, 2-5 FT), nine rebounds, one assist, and one steal in 30 minutes during Tuesday's 114-94 loss to Portland. Impact: Adams continues to have himself a strong series, finishing with 16 points and nine rebounds while limiting Enes Kanter to just 6-and-5. Outside of Adams, Paul George, and Russell Westbrook, the Thunder have struggled to get any contributions and will need any additional support they can get if they hope to extend the series beyond four games. News: Adams delivered 17 points (8-14 FG, 1-2 FT), nine rebounds, three steals, and one assist in 36 minutes during Sunday's 104-99 Game 1 loss to the Trail Blazers. Impact: Adams provided a strong stat line despite being outplayed by former teammate Enes Kanter. Adams will enter Tuesday's Game 2 hoping to do a better job of slowing Kanter down and keeping him off the glass while trying to help his team even the series. News: Adams (shoulder) has returned to Wednesday's game against the Bucks, Brett Dawson of The Athletic reports. Impact: Adams is back after suffering a shoulder injury during the first half Wednesday. While there's little doubt that Adams will play in the Thunder's upcoming playoff series, his health status should be monitored heading into the weekend. News: Adams is questionable to return to Wednesday's matchup with the Bucks due to right shoulder soreness, Brett Dawson of The Athletic reports. Impact: Adams looked in pain after falling during the second quarter of Wednesday's tilt with the Bucks. He'll likely be held out the entire second half in order to preserve his health for the Thunder's first round playoff series. News: Adams amassed 14 points (7-9 FG), 14 rebounds, and two blocks in 24 minutes during Friday's 123-110 win over the Pistons. Impact: Adams shut down Pistons center Andre Drummond, who finished with more turnovers (five) than points (four) and failed to grab double-digit boards. With the Thunder likely to do everything in their power to avoid a first round matchup with the Warriors, Adams will probably continue to play ample minutes across the last three regular season games. News: Adams accumulated 13 points (6-11 FG, 1-7 FT), eight rebounds, five blocks, three assists, and one steal in 33 minutes during Tuesday's 119-103 win over the Lakers. Impact: Adams (ear) started the second half despite suffering a blow to the head. Moreover, he amassed a season high block total. With bruising big man Andre Drummond's Pistons on tap for Friday, Adams will likely be heavily relied upon assuming he's still healthy enough to give it a go. News: Adams (ear) started the second half of Tuesday's game against the Lakers, Dave McMenamin of ESPN.com reports. Impact: It's not immediately clear Adams regained hearing in his right ear, but he's back out on the court. News: Adams went to the locker room after taking a blow to the head Tuesday against the Lakers, Royce Young of ESPN.com reports. Impact: Adams reportedly couldn't hear out of his right ear, so it appears he'll head back into the locker room for further testing. He should be considered questionable to return. News: Adams finished with 16 points (8-12 FG, 0-1 FT), five rebounds, two assists and a block over 35 minutes in the Thunder's loss to the Nuggets on Friday. Impact: Adams had a solid stat line, though his lack of rebounding as of late has been a bit concerning. He's managed just two double-doubles over his last 12 games, sporting averages of 10.8 points, 8.4 rebounds, 1.5 steals, 1.5 blocks and 1.4 assists. The defensive stats help to buoy his value , but it appears Adams is taking a step back at a very inopportune time as the Thunder make a push for the playoffs. News: Adams scored 25 points (11-14 FG, 3-6 FT) while adding 12 rebounds, three assists, two steals and a block in 35 minutes during Wednesday's 107-99 win over the Pacers. Impact: It's the big man's 27th double-double of the season, putting him just one back of tying last year's career high, while the 25 points was his best scoring performance since he dropped 26 on Nuggets on Dec. 14. Adams had struggled in his prior three games, managing a total of 15 points and 20 boards, but his seven steals and six blocks during that semi-slump kept his fantasy value afloat while highlighting his versatility. News: Adams had two points (1-7 FG), eight rebounds, four steals, and three blocks in 32 minutes during Monday's 115-103 loss to the Grizzlies. Impact: Adams was absolutely awful offensively, only salvaging his stat line thanks to his impressive defensive contributions. He has been held to single digits in scoring in three straight tilts and four of the last five, and Adams will look to get back on track during Wednesday's matchup versus the Pacers. News: Adams finished with 10 points (5-6 FG, 0-2 FT), 12 rebounds three assists, two blocks and a steal over 25 minutes in the Thunder's loss to the Heat on Monday. Impact: Adams came up with a double-double in Monday's loss, adding some quality stats across the board. His performance wasn't far off of his season averages of 14.3 points and 9.6 rebounds per game. He's always a double-double threat, though his upside is capped by his limited scoring capabilities. News: Adams accumulated 12 points (6-10 FG), seven rebounds, two steals, and two blocks in 33 minutes during Monday's 98-89 win over the Jazz. Impact: Adams didn't deliver splashy scoring and rebounding numbers but made his presence felt on the defensive end by posting a pair of steals and blocks. It's the eighth time this season that Adams has finished with at least two steals and two blocks. However, while he's averaging a career high in steals he's posting less than 1.0 block per game for the first time since his rookie campaign. News: Adams tallied 12 points (6-11 FG), seven rebounds, two steals, and two blocks in 39 minutes during Thursday's 129-121 victory over the Trail Blazers. Impact: Adams recovered from a slow start to finish with 12 points on 6-of-11 shooting, adding seven rebounds, and four combined defensive stats. He had no rhythm during the first two quarters but had some big plays down the stretch as the Thunder were able to hold off their division rivals in an overtime classic. Adams has put together a strong season, especially on the defensive end where he is a constant source of both blocks and steals. News: Adams collected 13 points (6-10 FG, 1-6 FT), 22 rebounds, two steals and one block across 32 minutes in the Thunder's 99-95 win over the Grizzlies on Sunday. Impact: Adams dominated on the glass throughout the contest and came just one rebound short of his career high. The veteran big man hauled in 12 of his boards in the first half, and he's now generated three straight double-doubles and six consecutive double-digit scoring efforts overall. Adams hasn't really seen a bump in usage with Paul George (shoulder) out the last three games, but his typical levels of production keep his value steady across all formats. News: Adams finished with 11 points (4-9 FG, 3-6 FT), 14 rebounds, one assist and one steal over 32 minutes in the Thunder's loss to the 76ers on Thursday. Impact: Adams produced a big double-double in Thursday's loss. The performance isn't surprising, as he's been an important piece of the Thunder's success this season, averaging career highs in points (14.7) and rebounds (9.4). News: Adams posted 16 points (7-14 FG, 2-4 FT), 10 rebounds, three assists, five steals and one block across 47 minutes in the Thunder's 148-147 double overtime win over the Jazz on Friday. Impact: Adams provided excellent complementary production on a night when teammates Paul George and Russell Westbrook combined for 93 of the team's points. The big man also extended his February streak of multiple steals to eight contests with his game-high tally, while his double-double was actually his first since Jan. 24. Adams' usage, albeit in elevated minutes, was a welcome sight as well, as he'd taken single-digit shot attempts the last four games prior to the All-Star break. News: Solomon will sign a 10-day contract with the Thunder, Shams Charania of The Athletic reports. Impact: Solomon has spent all of the 2018-19 campaign with the Oklahoma City Blue of the G League, and he will now get a shot at the big leagues. The Thunder have just one game before the All-Star break, however, so his only opportunity to play under this contract will be Thursday in New Orleans. News: Adams managed just six points (3-6 FG) but added nine rebounds, two steals and two blocks across 38 minutes in the Thunder's 117-112 win over the Rockets on Saturday. Impact: It was a second relatively low-usage night for Adams, who'd also taken just five shot attempts Thursday versus the Grizzlies. However, the reduced involvement in that contest was largely explained by the fact that the big man logged just 19 minutes due to foul trouble. There was no such factor at play Saturday, when Adams produced his first single-digit scoring tally since Jan. 4 while playing double the amount of minutes he saw against Memphis. The six-year veteran still managed to put up a signature effort on the boards, however, and he'll look to bounce back to his usual level of offensive contributions when he tangles with the Trail Blazers on Monday. News: Adams chipped in 13 points (6-15 FG, 1-1 FT), seven rebounds, three steals, and two assists in 27 minutes during Friday's 118-102 win over the Heat. Impact: Adams rejoined the lineup following a one-game absence with an ankle injury. He wasn't his usual efficient self offensively, sinking less than 50 percent of his field goal attempts for just the third time across his last 29 appearances. Nevertheless, Adams swiped at least three steals for the seventh time this season, and continues to fill up the box score in every category except threes. News: Adams (ankle) is in the starting lineup for Friday's game against Miami, Erik Horne of The Oklahoman reports. Impact: Adams was held out of Tuesday's matchup with Orlando due to an ankle injury, but he's evidently healthy enough to return Friday. Nerlens Noel will revert back to a bench role with Adams rejoining the first unit. News: Adams (ankle) is listed as questionable heading into Friday's contest against Miami, Ira Winderman of the South Florida Sun Sentinel reports. Impact: Adams was a full participant at practice Thursday and it appears likely that the big-man will make his return from a one game absence Friday versus the Heat. Adams is currently averaging a career-best 15.4 points and 10.0 rebounds per game with the Thunder this year. News: Adams (ankle) was a full participant in Thursday's practice, Erik Horne of The Oklahoman reports. Impact: While it's an encouraging sign for Adams' status heading into Friday's game against the Heat, head coach Billy Donovan would not reveal anything more regarding whether the big man will play or not. Consider Adams questionable for now, but it appears he could be making his return after just a one-game absence. News: Adams (ankle) is out Tuesday against the Magic, Erik Horne of The Oklahoman reports. Impact: A sprained right ankle will keep Adams out, and Nerlens Noel is slated to start against the Magic. In one start this season, Noel posted 20 points, 15 rebounds, four steals, two assists and one block. 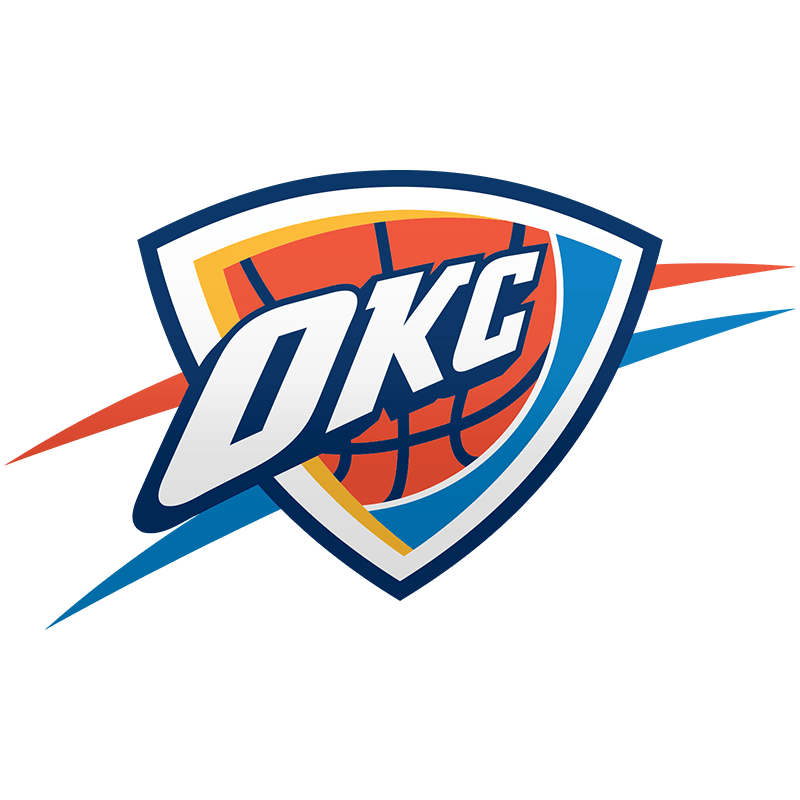 News: Adams is listed as questionable for Tuesday's game against Orlando due to a sprained right ankle, Erik Horne of The Oklahoman reports. Impact: Adams rolled his ankle during the second quarter of the Thunder's win over Milwaukee on Sunday, and while he returned to the game and played 31 minutes, he's still dealing with some residual soreness. The Thunder will likely wait until Adams can test the ankle in pregame before making a decision.